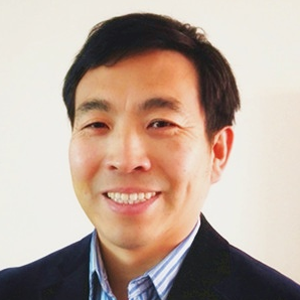 Dr. Zhang is the founder and CEO of Yinuoke Ltd, a clinical stage biotech company developing First-in-Class cancer immunotherapies based on a new concept. Dr. Zhang graduated from Jilin University with a doctoral degree of immunology in 2007. From 2008 to 2012, Dr.Zhang did a postdoctoral fellowship at Stanford School of Medicine studying cancer immunology and immunotherapy. After the postdoctoral fellowship, Dr.Zhang continued to study cancer immunology for another four years at Stanford School of Medicine, focusing on the immune system dynamics during cancer progression and its impact on the host. In 2016, Dr.Zhang founded Yinuoke Ltd., to discover and develop innovative cancer treatments by targeting the tumor-induced immune disorder. Yinuoke is the first company to develop new cancer treatments by targeting tumor-induced immune disorder. My presentation will covers three aspects: 1. Tumor-induced immune disorder could bring massive damage to the host. 2. Tumor-induced immune disorder impacts efficacy of immune checkpoint inhibitors. 3. A new direction to develop cancer treatment by targeting tumor-induced immune disorder.